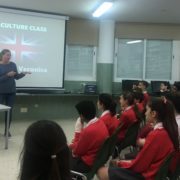 Colegio Alboran’s Secondary English Department in association with Burlington Books held three fun and interactive cultural seminars to our secondary students. 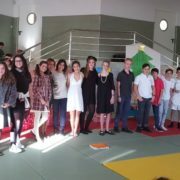 2 ESO drama class alongside Miss Mónica and Miss Maricarmen, performed two Christmas plays for all of primary today. The first transported the students back to the time that Christ was born and we saw the arrival of the three kings in celebration. The second and very numerous play explored a delema which faced poor Santa on Christmas Eve, which was ‘What do we do when the elves have the flu? 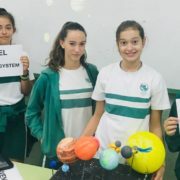 Our Biology, Geography and English teachers have come together with their 1º ESO class to oﬀer the students a bilingual, informed and in-depth knowledge of the Solar System. 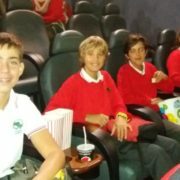 The students endeavored to display their newly acquired knowledge by completing an English Project which, they did wonderfully, through the use of hand made model Solar Systems, iMovies, Keynotes, Kahoots and even creating a class game for everyone to participate in. 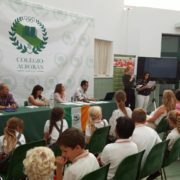 All very individual methods to display and present what they had learnt. 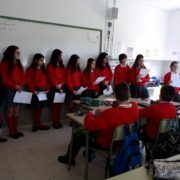 It’s great to see the beneﬁts when teachers can collaborate together with their students in a bilingual environment. 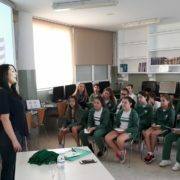 Colegio Alboran’s Secondary English Department in association with Burlington Books held two seminars yesterday, given by the lovely Miss Tammy Vera, who introduced the students to their first American Culture Class. 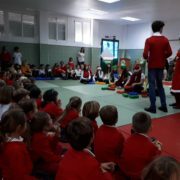 2o ESO drama class today performed two festive and humorous plays to a captivated audience which included our Nursery and Primary students. 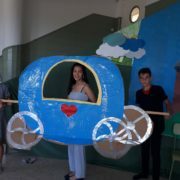 The first play was ‘NoSanta’ where we saw poor Father Christmas getting ill on Christmas Eve and can’t deliver his presents. We watched in suspense as Mrs. Claus tried to solve this dilema with the help of their trustworthy elves. 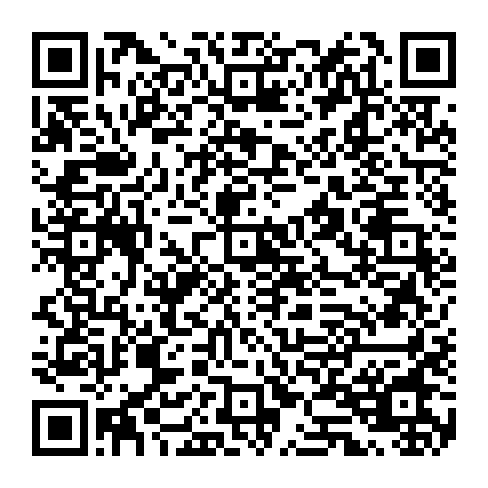 In the second play which depicted the well known and loved story of ‘A Christmas Carol’; we experienced a more modern version where Scrooge was transformed into a modern Eden. She does not believe in Christmas and spends maybe too much time working and we watched her journey to the realization that she should not be working so hard and instead should spend more time with family and friends. Both performances as different as they were, delivered their Christmas message of helping others and enjoying the holidays with friends and family.